Dad lives on in me..
Dad died yesterday, releasing him from his pain. It had been coming for a long time. The thing about the long goodbye as your loved one slowly slips away over years is that you think you have already grieved and shed all of your tears… and then when it happens you realize that it really has just begun. My Dad was mischievous. He was older than most Dad’s, born in the great depression, the middle child joker in a sea of siblings. At 17 he enlisted and went to Germany to rebuild after WWII and served through Korea and the beginning of Vietnam. He retired after 20 years with a pension and a broken back. Then when I was 5, he met and married my mom, adopting me and giving me his name. It took me a long time to adjust and understand him. He wasn’t perfect. A man of his time, he believed in family and service, but was always a bit of a rogue. He was much deeper than the his shell of jabs and jokes let on. He suffered his own demons and from the deterioration of MS that had broken his back and kept him in chronic pain. He self medicated with alcohol and spent too much time at the VFW drinking and playing cards. He didn’t have all the answers, but taught me philosophy, and the art of verbal fisticuffs. Dad gave what he could to my sister, mom and myself. I am who I am because of him and I miss him. For years now MS, diabetes, dementia and pain medicine have robbed him of his health and memory, but even to the end he was still Dad. I see more of him in myself than I admit.. Dad lives in me..
Apple + Beats – It’s Demographics..
On the surface Apple buying Beats Audio for 3.2 billion looks insane. In this case I think Apple is crazy like a fox. Beats audio on the surface looks woefully overpriced.. like their products. The overall market for Premium headphones is about $1 billion and Beats does have a large chunk of that, but consumers are fickle. Beats also has a premium streaming app that is doing well since its January launch, but it too early to tell. Why is Apple so interested? Simple demographics. Apple skews towards affluent consumers. Apple has a great market and an aspirational one. Unfortunately it is NOT an urban brand and is now losing/lost traction with teens and young adults. I was reading an article on college admissions recently that reminded me of another great quote. A good college is one that challenges your perception of the world. A place where the rug is pulled out from under you and you have to scramble to find a footing that is secure. It is a shame that we don’t continue to have the same ideals in lower education. We have lost our understanding of what education is. I salute those who help people to unlearn! International politics is not a game for the faint of heart. The many machinations of the pawns on the chessboard is enough to keep you up at night wondering who is really playing who. In a way the biggest problem is that this is all being played as a zero-sum game. If one side wins the other must be losing. In this winner keeps all scenario each country is playing for their goals without concern for the greater good. Any concession is an admission of defeat. Ocean Cleanup Array is stupid! Stiv Wilson, policy director for 5Gyres,org which is dedicated to cleaning up the ocean, recently posted an article pointing out that the proposed Ocean Cleanup Array is not only a pipe dream, but distracts the public from the real solution. Digested version… any robot/automation we design to clean plastic out of the oceans will not only be prohibitively expensive.. it will also never work. Not only is it extremely difficult to get anything to work in the ocean (corrosion, storms, etc.) there is no way to collect the plastic without killing off most of the plankton.. on which most sea life depends. Luckily the ocean deposits about 10 percent of the plastic on beaches each year. If we reduce the plastic waste that makes it to the ocean by 90% then in 10 years the ocean will also be 90% cleaner. The solution is not to clean up the mess, it is to prevent it. Read the Stiv’s article HERE. Many times our Q/A staff is tasked by well meaning managers with the task of testing some new website, plugin, game or other network enabled application with zero training, tools or even a basic understanding of the scope of what they need to test. Any network enabled application can run into a number of issues that it will need to work with or fail gracefully from. Without adequate testing the company will at the least loose some of its reputation, and at most go out of business. To test these scenarios required dedicated hardware in the past, but today almost any PC or Mac can detect and simulate most network conditions through simple to use tools. To get a team started I have assembled the simple networking toolbox bellow.. Yes, that is right Sugar is Toxic. I happened upon this little fact about a year ago when someone shared a video from a Dr. Lustig entitled “Sugar: The Bitter Truth” that literally changed my life. Dr. Lustig’s video is a bit technical so I will summarize it here. Dr. Lustig and a microbiologist found that Sugar (Fructose) is processed in the Liver in almost exactly the same way as Alcohol. As a result, its consumption has almost the same long term health consequences/risks. So sugar feels good and makes you hungry for.. more sugar. ShadyLogic will be presenting the Wizards of Kid (The Alchemy of transforming Kid´s Movies, TV and Toys into Online Worlds at Engage at the Toy Fair 2011. It has been a busy year, and we have had a lot of fun helping Activision design and develop a web world that is integral to the Skylanders hybrid Toy and Video Game launch. Skylanders will mark a lot of firsts as a hybrid product and it will be quite an impact when we hit the market. Kid’s IP has exploded into online worlds and the convergence is transforming kids products and entertainment. Extending a Kid’s IP from screen or toy to online worlds takes a lot of insight a fair bit of magic. We bring together a eclectic group of the top wizards from Disney, Mattel, Hasbro, National Geographic and Cartoon Network to show us how they weave new worlds with existing IP. This panel of creative executives with deep background in production, technology, creative and online branding explore the process and challenges of bringing kids brands online. We have great panel and it should be a lot of fun. Contact us if you would like to chat at Toy Fair! 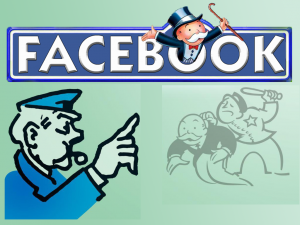 Should FTC file Facebook Antitrust? At almost 500 million active users and half of all internet users worldwide, Facebook is a “natural monopoly”. It comprises over 75% of the internet users in the US. If you are making social applications or games Facebook is effectively the only game in town. I am a big fan of Facebook and we are developing games for the platform. While many ruminate over the implications of Facebook’s privacy changes I am much more concerned by the implications of other policy changes towards businesses. Some of my compatriots might worry about the reorganization of notifications and requests, but the elephant in the room is Facebook’s Credits. Credits are an initiative to take control of the monetization of all apps on the platform by taking a Apple-sized bite of 30% of every transaction. This will effectively erase any profit for many companies. The choice of which technology and language a project is built on can be divisive. We wed ourselves to the tools we know best and identify with the solutions we employ. While there are zelots in the PC vs Mac debates, the hotter arguments in tech circles frequently revolve around what technology will mean success. One debate that comes up in game development is the use of any language other than C/C++. The C/C++ languages have been almost the exclusive language for game engines since its beginning. While developers my also adopt scripting languages (many times to offload work to less technical game designers) the core that makes the engine do its magic is in C/C++. I had the good fortune to present on the Future of Web3D as part of a panel at the Web3D symposium at SIGGRAPH 2008. This is the segment on Youtube. It was a great panel put together by Rita Turkowski of Intel and featured Remi Arnaud, Johannes Berh, Mimi Harris, Doug Twilleager, Christian Renaud, Vladimir Vukicevic and Mark Young. A while back (March 2008) I wrote an article for Game Developer Magazine on what was coming up in gaming. Most of these predictions came true, but that is not remarkable considering that we were only looking a couple years ahead. What I find more interesting is that things have not moved faster. After all the vacuum isn’t going anywhere. If we take a look at the Petri-dish we call the Internet we notice something, it evolves pretty quickly. What was the killer application last month is old news the day the next start-up launches. The companies that grow either have something intrinsically valuable, or can evolve faster than their peers. We are learning that the only true constant is ever accelerating change. wish you and yours a wonderful holiday season and a fine new year. Yelp has been growing at a good clip and in the last couple days touted how well they were doing. This growth was probably a big factor in Yelp’s rumored $200 million valuation on its fourth round in February. A lot of this growth has been fueled by the excellent SEO that they receive as a result of a partnering arrangement with Google. I noticed recently that Yelp isn’t as prevalent in my searches. Where Yelp used to show up almost every time I Googled a restaurant, instead it looks like Yelp competitor Citysearch is Google’s new review partner. We haven’t seen a press release yet, but if Yelp has lost its relationship with Google this could lead to a downturn. While they may have the best reviews, that will mean little if people can’t find them. Could Yelp’s recent crowing be a scramble to paint a pretty picture before the decline? On June 25th Dr. Robert Lai (Mr. Lai Chi Tau) Chief Scientist of China’s Cyber Recreational District (CRD) passed away in his sleep at the age of 50. I met Robert at the Virtual Worlds Conference and Expo (VWCE) and in November I had the privilege to be invited by Robert to speak at the Virtual World Summit a part of the ICCIE Summit. As his guest I got to know Robert and came to regard him as a friend. We all have aspirations great and small. Though he had lived his life as a scientist and teacher and was at that time the public face of the CRD, Robert’s dream was a modest retirement on a hillside in China. The CRD was to be his last task before relaxing and living the simple life. It saddens me to think Robert won’t get that chance. I hope he was dreaming that dream the night he left us in his sleep. Robert was a man who you could not help but like. A man who you felt you could trust and who regardless of what happened around him would treat you with respect. He had an infectious love of life that was only tempered by the his role and place in the world. I will miss my friend Robert and how he represented to me the many sides of China as it enters this brave new world. Farewell to our friend Robert, you will always be China to me.